File a testimonial or complaint about this organization. 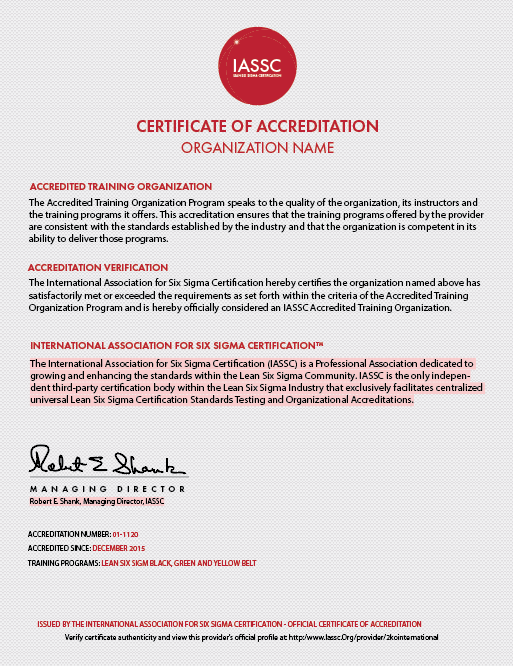 The Lean Six Sigma Company is specialised in Lean Six Sigma training and deployment. We focus on knowledge transfer to organizations who have the sole ambition to perform at a world-class excellence level. Deploying Lean Six Sigma comes with training, coaching and creating a Lean Six Sigma structure. This deployment also includes embedding a culture of continuous improvement. We aim to assist your organisation in learning how to improve processes using the Lean Six Sigma methodology.